EFT International (formerly AAMET International, The Association for the Advancement of Meridian Energy Techniques, and now trading as EFT International) is a UK-registered Charitable Incorporated Organisation (CIO), registered charity number 1176538. EFT International supports the creative and ethical education in, and use of, classical EFT Tapping as originally taught by EFT's developer Gary Craig and included in his recent updates, which he refers to as "Gold Standard EFT." EFT International provides a training framework for EFT Tapping, which is used worldwide by a large network of EFT International Master Trainers (referred to simply as "Trainers"). Students of those Trainers, upon completion of a programme that includes in-person practical as well as academic training, examination and supervision/mentoring, are eligible to list on EFT International’s register of Accredited Certified EFT Practitioners and Advanced Practitioners. 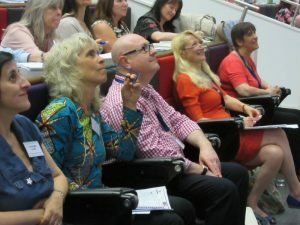 Practitioners listed on this website are recognised EFT International members who have agreed to hold appropriate insurance cover and who have signed up to follow our Code of Conduct and Ethics and to undertake an annual minimum number of hours of Continuing Professional Development (CPD) and Mentoring. EFT International only accepts members with a high standard of training and has a formal feedback, complaints and investigation procedure in place. AAMET International, now trading as EFT International, is a member of GRCCT (General Regulatory Council for Complementary Therapies). It is the larger of the two national regulatory bodies in the UK developed from the work of the Prince’s Foundation in 2007. Supported by the professional lead bodies, GRCCT holds a National Register of approximately 18,000 practitioners of 20 different complementary therapy disciplines, as well as providing an independent arbitration and complaints process. Each discipline implements safe practitioner education entry requirement in conjunction with National Occupational Standards. Practitioners and organisations granted admission to join GRCCT are seen to meet UK General Medical Council guidelines for GP referral and NHS Patient Safety Criteria. EFT International has been subjected to most rigorous vetting by the Charity Commissioners and are now endorsed as an organisation which is ethically run, has financial probity, and which benefits both its members and the public. EFT International is the only EFT organisation in the world with this status. It is an important step on the road to gaining wider recognition for EFT International and for EFT with other professionals and professional organisations. EFT International now has even more stringent scrutiny. Being a charity means having trustees whose job is to have an oversight of how we operate. These new trustees reflect our International nature. They are John Freedom and Karin Davidson from the US and two of the original EFT founding masters and earliest members of EFT International, Jacqui Crooks in the UK and Judy Byrne in Australia. The Association for the Advancement of Meridian Energy Techniques (AAMET) was first established in 1999 by a group of EFT Tapping enthusiasts lead by UK Homeopath and Meridian Therapist Dr Tam Llewellyn-Edwards, who later became one of the 29 EFT Founding Masters (awarded by Gary Craig). A website was set up listing all Energy Therapists. In 2009, upon Tam’s retirement, Helena Fone became Chair. Helena registered AAMET as a Voluntary Organisation in Malta (VO/0400) which gave it legal status, ensuring transparency and accountability. In 2010, a new website was launched to coincide with a new decade and heralded an exciting new era for AAMET with a new way of working. All members had to renew their membership and agree to abide by rules and regulations. In 2012, the association’s name was changed to AAMET International to reflect worldwide status as an EFT Association. In 2014, upon Helena’s retirement, Jacqui Footman stepped into the Chair role. She previously had assisted Tam with AAMET web listings (in 2006), served as AAMET Treasurer (since 2009), and volunteered as Vice Chair (in 2013). Shoshana Garfield, who had volunteered for AAMET on Training Board for many years, stepped in as Vice Chair to support Jacqui Footman. Jacqui and Shoshana switched to Co-Chair roles rather than Chair and Vice Chair in March 2019, within a trend of improving working relationships and consensus, non-hierarchical collaboration moving the organisation forward. April 2019 – Launch of new EFT International logo. AAMET International is now formally trading as EFT International prior to a full renaming and updated charity registration that will follow. December 2018 – For the first time in world history a government agency has officially recommended EFT as worthy of government research funds for trauma/PTSD. This was due to the extraordinary collaboration between EFT International, ACEP, EFT Universe and researcher Dr David Feinstein to create the robust and comprehensive stakeholder response (including recent EFT research) that AAMET submitted to NICE via the consultation process in July 2018 for their Post Traumatic Stress Disorder (PTSD) treatment guidance review. NICE is the UK government body responsible for determining medical and psychological treatments recommended for use in the UK NHS (National Health Service). January 2018 – AAMET International is officially granted UK charitable status, and is listed with the Charity Commission as Registered Charity Number 1176538. October 2016 – The new AAMETInternational.org website launches, offering improved navigation and organisation for members and visitors. The site also features an AAMET Free Introductory EFT Manual for newsletter subscribers, searchable Science and Research section, new Find a Practitioner listing and more. September 2016 – EFTfree.net gifts AAMET their 300+ EFT articles archive, and AAMET begins laying the groundwork for Accredited Certified members to publish and promote their own tapping stories. July 2015 – AAMET co-sponsors the first-ever EFT Scientific Research Symposium with Staffordshire University, Stoke-on-Trent, UK. October 2014 – Training Board begins comprehensive update of all AAMET EFT Level 1, 2 and 3 training, certification and accreditation documents. January 2014 – AAMET establishes internal accreditation steps for existing members. 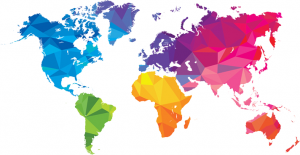 The legal voluntary organisation (charity) status facilitates EFT International’s core activities and helps us form strong allegiances with the official bodies and authorities in members’ respective countries. We will also find it easier to network and co-opt with other professional bodies representing the many other disciplines our members are qualified in (e.g. hypnotherapy, homeopathy, psychotherapy, counseling). This makes it easier for us to pursue our key aim to open more doors into mainstream/conventional healthcare and rehabilitation, conferring greater professional kudos on our endeavours in the fields of health education, practice and reform.